Okay so Christmas is now over and we are all getting used to our new gifts. Well this year one of my favorite presents i was a little unsure about at first was this benefit mascara. Launched last year ‘they’re real’ Mascara has become the no.1 selling mascara. Well can i just say what an achievement that is? I’ve used a wide range of mascaras over the years from Rimmel, L’Oreal to Max Factor and out of every SINGLE one, this has got to best the best one. The title doesn’t disappoint either, the mascara really does make you look like you have fake lashes on! For the lashes i decided to use this mascara and another thick mascara brush such as Rimmel Scandal eyes. The thick brush helps build volume. Firstly i applied eyeliner to the lid of the eye or eye shadow whatever you prefer. With the benefit mascara i coated the mascara evenly on each lash using a horizontal wiggly motion moving the brush from side to side. After this i used the Rimmel mascara to thicken the lashes then the benefit mascara again to lengthen the lashes and separate them! 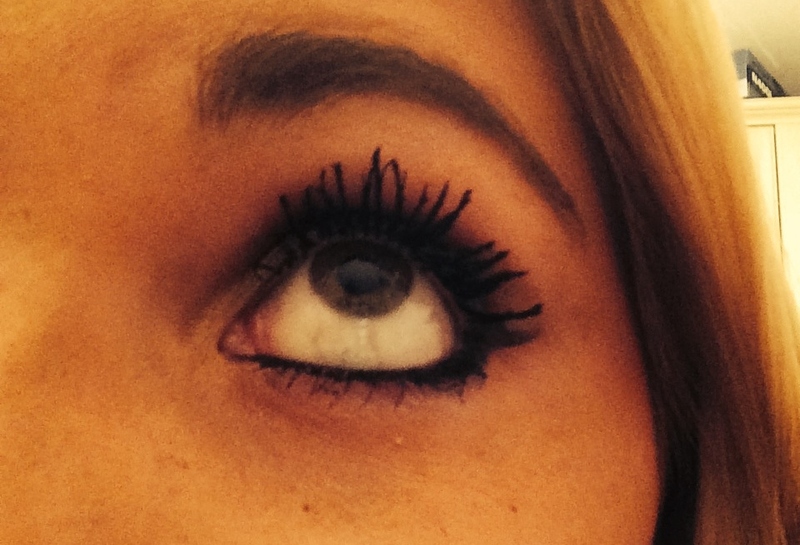 It is a must to not have your lashes clumped together and this mascara prevents this. I really do love this mascara, there are so many reviews going around for this and it truly does what its meant to. Theres always a lot of hype about new mascaras, brands like Rimmel and Maybelline there’s always another mascara that lengthens, thickens ect ect but i tend to find they are usually the same.. this mascara actually does it! If this doesn’t persuade you enough the statistics on the box certainly did it for me! 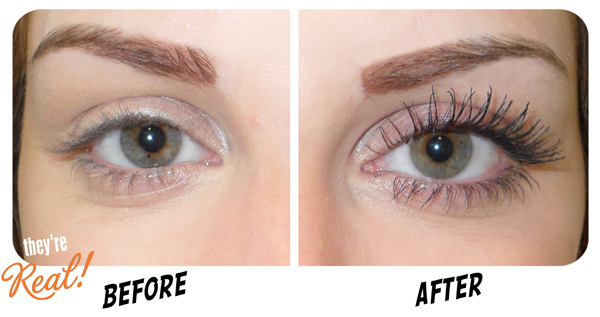 94%, 90%, 100%, 94% saw visible lift, volume and long wearing results. What other mascara has this?! Sorry about the photos, My front camera is still blury but i found this was the best way to show you how long and thick my lashes are. I know for £19.50 can be a bit pricey for some, i think it is worth it as we spend sometimes up to £7 each for a pair of lashes to wear a couple of times, this mascara gives us this effect and can last months. So i guess in the long run it can be cheaper! Heres a Benefit before and after! Just look at the results. I love this mascara 🙂 Love the overall eye makeup too-really pretty!